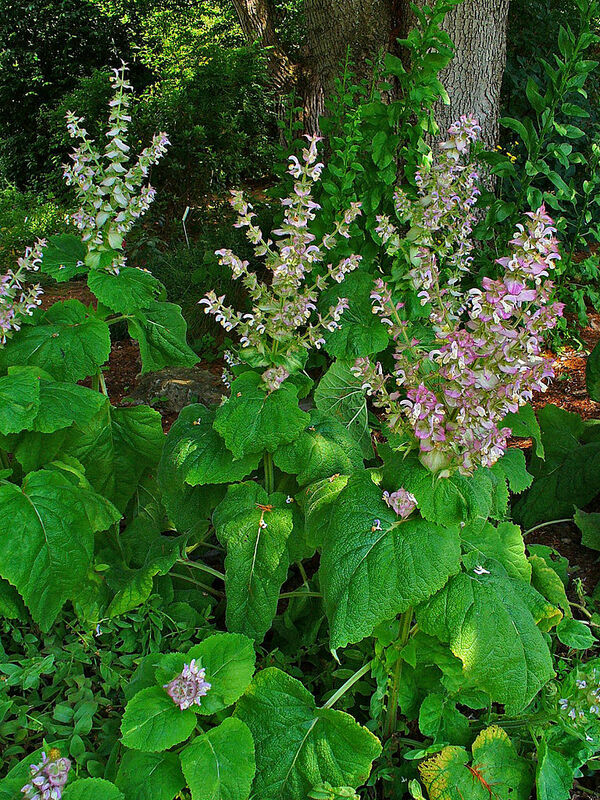 Salvia Sclarea, clary sage, is a perennial plant in which the leaves and flowering tops are harvested and steam distilled to make an essential oil. This plant has been used medicinally through out history particularly for its intoxicating effects and euphoric results. 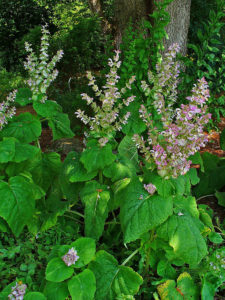 In Europe clary was added to beer and wine to heighten the effects of the alcohol as well as to give it flavor. In olden England it was mixed with vinegar and used medicinally to help with gastric complaints as well as women’s problems. In modern aromatherapy, we also use this plant’s essential oil for menstrual complaints such as PMS, cramping, delayed or irregular flow and hot flashes— but clary’s true value lies in its ability to help with the psychological aspects of a complaint. Many menstrual challenges have both a psychological as well as a physiological component and clary assists in both by alleviating the pain and discomfort and also by soothing and relaxing the mind. Stress and tension, which exacerbate many physical problems, can be abetted by adding clary to one’s bath, massage oil or aroma lamp. As mentioned, clary seems to have an intoxicating effect on the nervous system, calming and bringing a peace and tranquility to the mental and physical body. But like being intoxicated, this oil can make concentrating difficult and studying very challenging. An euphoric effect is very often felt, relieving fear, paranoia, panic attacks and melancholy. Nervousness and depression are easily reduced with clary’s help. But, clary’s relaxation is not completely sedating as it also has an ability to rejuvinate and regenerate energy. By changing the nervous energy into tranquility, there is more energy to use in constructive ways. When one runs tense nervous energy, there is no energy left to enjoy life – by exchanging the pent up energy for relaxing peace, there is more energy for more enjoyment of life. Clary’s gift is to offer us an escape into the quieter world of our imagination. This delightful oil enables us to find our creative abilities and increase intuitive powers. Clary is helpful for insomnia and can be added to an evening bath for total relaxation. Negative thoughts and worrisome ideas go down the drain leaving the mind open for inspiration and higher consciousness. The dream state is often enhanced when clary is burned in an aroma lamp before bedtime. On a physical level, clary is good for aging skin, wrinkles and skin complaints. It can also be helpful for bronchial conditions and the discomforts of a cold or flu by burning it or making a compress with the oil. So whenever you feel the need for ‘time out’ from this world, have a little clary sage on hand in your burner or in your bath and you will find yourself melting into a tranquil state of euphoria. But be warned-– clary should not be over-used as it can bring up the emotions that are causing the depression or tension. You may feel bursts of anger or rage welling up inside waiting to be expelled or you may experience intense feelings of sadness as emotions are being released (which also can happen when one is intoxicated). Fear not, “Better out than in” as the adage goes… Though generally, clary is a happy high and very beneficial if used properly.